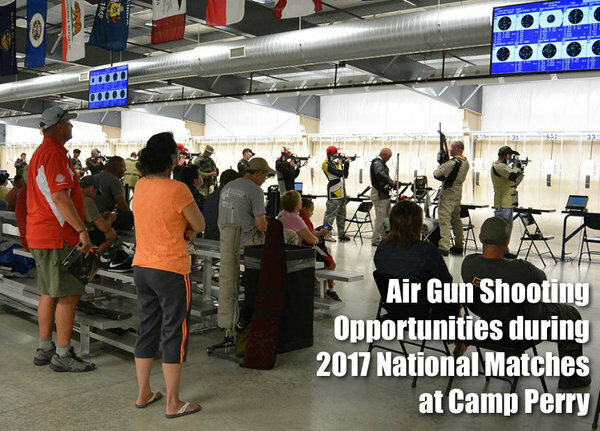 Are you a tactical competitor, or are you considering getting started in the PRS series or other practical shooting competition? Then here are three videos you’ll definitely want to watch. Ed Mobley and Steve Lawrence, aka the 6.5 Guys, interview PRS Director Shawn Wiseman, as well as the founders of the New National Rifle League. In addition, the 6.5 Guys catch up with Frank Galli, founder of Sniper’s Hide. These three interviews cover important developments in the tactical/practical disciplines, such as the new PRS Gas Gun Series. 6.5 Guys: We sat down with Shawn Wiseman of the Precision Rifle Series (PRS). We discussed the new divisions (gas gun and tactical) as well as the club series. We got authoritative answers in response to the many questions that have been floating around. Shawn discussed the challenges the PRS has faced with its rapid growth and how these challenges have been addressed. 6.5 Guys: We met with Tyler Frehner and Travis Ishida of the new National Rifle League (NRL). The NRL is 501(c)3 non-profit organization that conducts a series of practical/tactical style matches around the country and promotes a range of outdoors-related public interest activities. 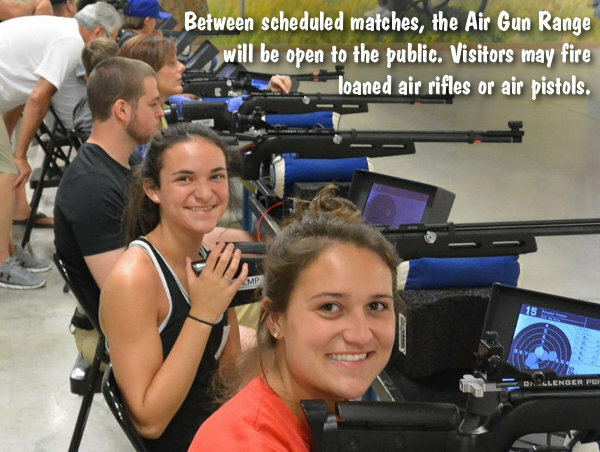 The interview covers the formation of the National Rifle League, the goals of the program, and the match schedule for 2017. 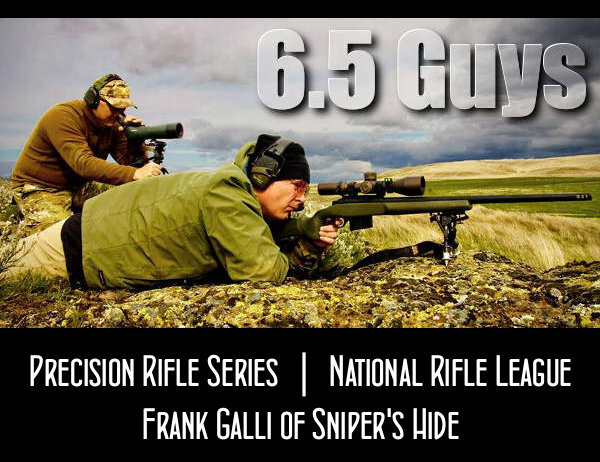 6.5 Guys: Frank Galli shared his observations from SHOT Show as well as the future of Sniper’s Hide. Frank has been a terrific mentor and supporter of the 6.5 Guys. Frank talks about important developments for the Sniper’s Hide Forum. In addition, Frank discusses the evolution of the tactical disciplines and precision rifle hardware. 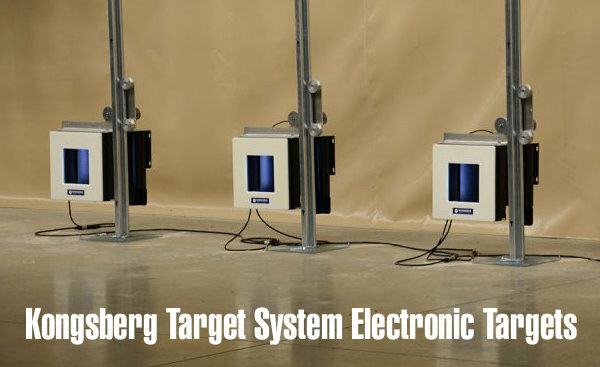 Share the post "Tactical TV — 6.5 Guys Interview Leading Tactical Match Directors"
Generally you want the biggest, heaviest gunsafe you can afford. However, for many gun owners, a 1000+ pound behemoth is impractical. For those who relocate frequently for their jobs, or who live up many flights of stairs, it is more practical to have a safe that breaks down into separate pieces for transport. In our Guide to Gunsafes, we reviewed the Zanotti Safe, a quality modular safe that breaks down into smaller, lighter components. Now there is a another modular safe that competes with the Zanotti. Snapsafe’s Titan Modular Safe ships in three (3) flat boxes. Simply unpack the components and assemble the 330-lb. Titan on-site in about 30 minutes without tools. The SnapSafe™ Titan holds 12+ rifles, weighs 375 lbs. assembled, and measures 59” H x 22” W x 17.5”. Side panels are 9 gauge steel and the door is 3/16” steel secured by eight 1″-diameter chrome steel live locking bolts. SnapSafe claims that its patented structure can be stronger than conventional welded construction. You can choose either SecuRam™ Digital Lock or a mechanical lock. The Titan comes with fire-sealing gaskets lining the door frame. These gaskets, combined with ceramic wool blankets in the walls provide a claimed one hour of fire protection against temperatures up to 2300ºF. 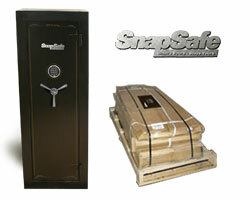 SnapSafe sells its Titan 12+ long-gun capacity safe for $1249.00 delivered. There are also larger-capacity modular safes — the $1648.00 Super Titan (24 gun capacity), and the massive $1999.00 Super Titan XL (36 gun capacity). All prices include shipping to the lower 48 states. 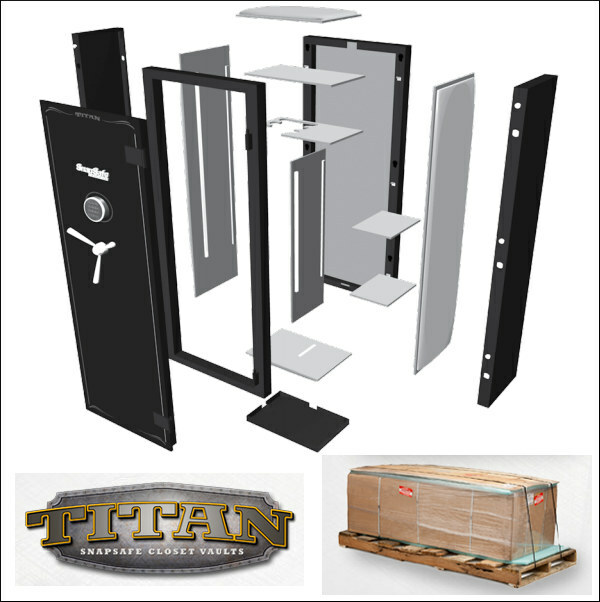 Share the post "Titan Modular Gun Vault from SnapSafe"